Secretly recorded conversations often play a vital role in criminal trials. However, circumstances such as background noise, accidents, regional or national idioms, jargon, slang or code may make it difficult for a jury to hear or understand what was said – even more so when the speakers are not speaking English. When the conversation or a social media post was in another language, additional issues arise: Who should translate the conversation into English? What methodology should the translator use? How should a court determine the accuracy of the foreign language translation? How should the conversation be presented to the jury? How can the adverse party challenge the accuracy of the translation before and during the trial? Thus, a recording’s value as evidence will often depend on whether an accurate transcript may be distributed to the jury. When a foreign language is involved, this also includes determining whether or not an accurate foreign language translation of the recording can be provided. Because translating from one language to another is far from an exact science, disputes as to the accuracy of the transcription and translation are to be expected. The challenge is particularly acute if participants in the conversation speak the same language but come from different countries. 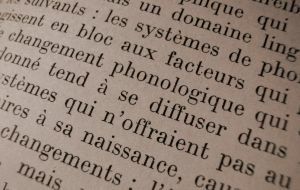 Translating a foreign language into English is further complicated by the fact that local and regional variations abound within each country, as do dialects, accents, and pronunciations. More so, the use of jargon, terms of art, and slang and code words will often complicate matters even further. Even assuming that both sides’ translators agree as to the words that were spoken in the other language, they still might quite reasonably disagree as to how to translate those words into English. A literal translation of such a conversation might be almost meaningless. A translation that does not merely translate but also “interprets” jargon, on the other hand, would be impermissibly suggestive. In situations where the parties cannot agree on what the translation should contain, the best solution is to leave the matter to the adversary system. Each side should submit its translation to the jury, and it should be left to the jury to decide which (if either) foreign language translation it finds persuasive. Translating a conversation from another language into English requires “specialized knowledge [that] will assist the trier of fact to understand the evidence.” (FED. R. EVID. 702) Thus, it is governed by the rules regulating expert opinion testimony. American jurisdictions differ somewhat as to the standards governing the admissibility of expert testimony, but with regard to the admissibility of a translation of a foreign language conversation, common sense dictates the basic ground rules. First, the offering party must elicit testimony from the witness who translated the conversation to the effect that he or she has sufficient proficiency in English and the other language–i.e., that he or she qualifies as an “expert” in both languages–to produce a reliable translation. Second, the translator must testify that he or she used reliable methods and procedures in translating the conversation. If the offering party satisfies these two requirements, the transcript is admissible, unless the adverse party persuades the judge that the translation is nevertheless untrustworthy.